Our durable Clear Choice™ Stencil brushes feature good quality bristle hair and sturdy polymer handles. 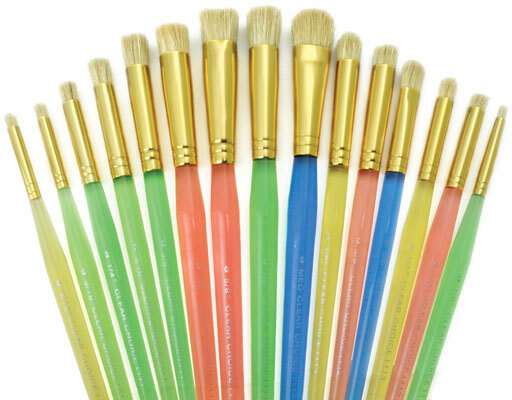 These brushes are ideal for stenciling. Avaliable in flat, bilert, and dome shapes for all your needs. 3pc set - standards 1/2", 3/8", 5/16"
4pc set - standards 5/16"
4pc set - standards 3/16", 1/4", 5/16", 3/8"
3pc set - domed 1/4", 3/16", 3/8"
3pc set - short 1/4", 3/8", 1/2"